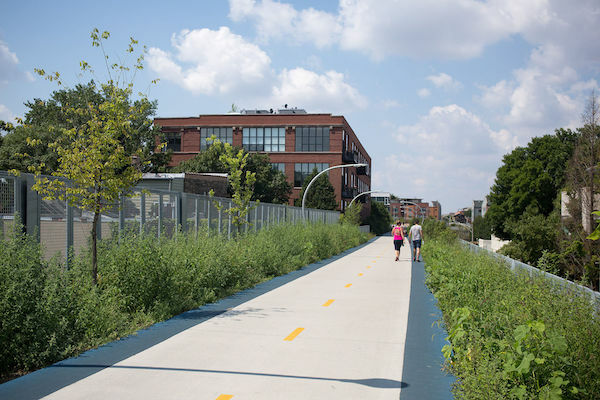 The 606 Trail is a brand new elevated urban trail built along a former rail line in Chicago’s west side. Opened in 2015, this is a wonderful urban greenway with separate pedestrian & bike paths, public art, and lovely landscaping. 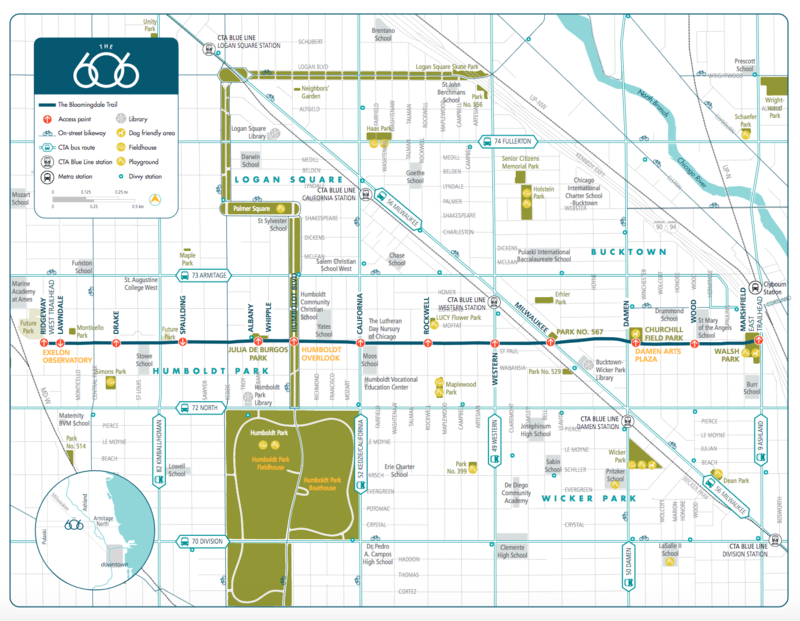 Also known as the Bloomingdale Trail, it runs 2.7 miles, from Walsh Park at the I-90, west to N. Ridgeway Ave. Modeled after The Highline in New York City, the 606 has sprouted a whole revitalization of the area, including cafes & restaurants. An out and back along the trail is 5.4 miles. 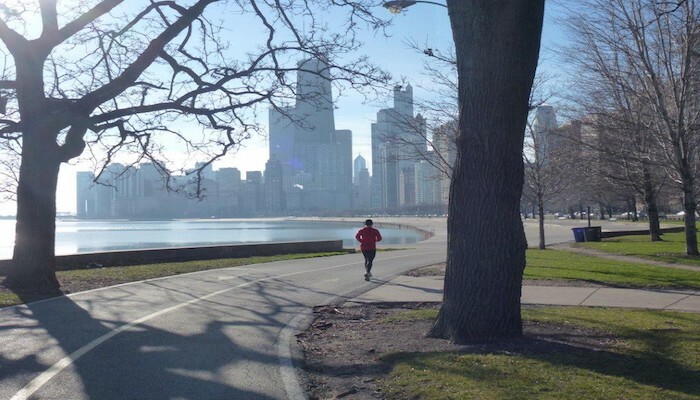 A nice add-on is Humboldt Park, which which has 2 miles of green trails around a couple of ponds. It’s 0.3 miles along N. Humboldt Blvd. (at the 1.7 mile mark of the 606 Trail), to Humboldt Park. 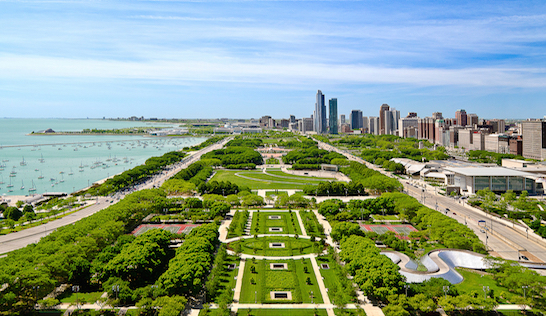 Another nice add-on is the Wicker Park neighborhood, just to the east of Humboldt Park. A sort of ‘greenway’ has also been built along N. Humboldt Blvd. heading north, for 1.3 miles through Palmer Square to the Logan Square subway station.